What Types Of Life Sciences Patents Are Vulnerable To Section 101 Challenges? 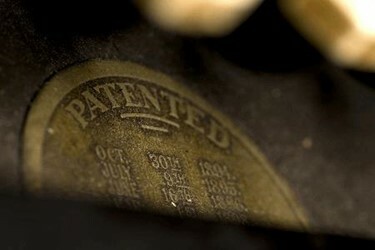 To be entitled to a patent, an invention must satisfy a number of patentability requirements, including the “patent eligibility” requirement under 35 U.S.C. § 101. In Part 1 of this three-part series, we reviewed the origin of the three “patent ineligible” subject matters, the evolution of the U.S. Supreme Court’s jurisprudence on the issue, and how the Supreme Court’s decision in Mayo Collaborative Services v. Prometheus Labs, Inc. changed the patent-eligibility landscape for life science patents. In Part 2, we take a closer look at the life sciences patent cases where patent eligibility was at issue. Issued rulings from lower courts in the past five years indicate that patents concerning diagnostics, personalized medicine, and health information technology are particularly vulnerable to Section 101 challenges. Surprisingly, even method-of-treatment inventions, which would easily pass muster under Section 101 in the past, were found to be patent ineligible by some courts as directed to an abstract idea, a law of nature, or a natural phenomenon. Like software patents, patents directed to health information technology (for example, methods and systems for guiding the selection of a treatment regimen using knowledge databases and expert rules) or telemedicine are generally regarded as directed to an abstract idea or a mental process implemented with conventional computer or communication technology. Unless the patentee can convince the court that the claims are directed to a specific improvement in computer capabilities or recite a technical improvement over prior art, patents in this category are likely found to be invalid under Section 101. Diagnostic and personalized medicine patents do not fare much better, which is to be expected following Mayo and Myriad. As noted earlier, although the Supreme Court made clear that an “application” of a discovery “may well be deserving of patent protection,” lower courts now generally require that the tool or technique used for the “application” must itself be innovative, effectively collapsing the novelty and nonobviousness requirements of Sections 102 and 103 of the patent statute with the patent eligibility analyses under Section 101. Under this approach, claims directed to tools for genetic screening or methods of detecting, measuring, and correlating certain biological phenomena — including those directed to improving therapeutic efficacy of a drug — are generally viewed as merely implementing a law or product of nature with conventional laboratory technologies. Even method-of-treatment claims, which have been a fixture in drug patents and commonly used to expand a brand drug manufacturer’s patent landscape upon the discovery of new indications, are vulnerable to Section 101 challenges under the current legal framework. The follow-on method-of-treatment claims directed to new indications or new dosing regimens are especially vulnerable, because the drug or active ingredient itself would no longer be “innovative” and would likely be insufficient to provide the “inventive concept” required in step two of the Mayo/Alice framework. Unless and until the Supreme Court reins in the scope of the reach of Section 101, method-of-treatment claims will become an endangered species quickly. While atypical and unsuccessful, the defendants’ patent ineligibility arguments against drug composition claims based on the recited PK properties reflect an emboldened practice of routinely and indiscriminately challenging patent eligibility of any claims that even touch on an abstract idea, a law of nature, or a natural phenomenon. What appear to have weathered the Section 101 scrutiny are claims directed to laboratory techniques, medical devices, or medical or surgical procedures — that is, inventions generally perceived as innovations of the hands rather than minds. Patent eligibility challenges against claims directed to medical devices or surgical tools and procedures have also generally been unsuccessful, being rejected by most courts at step one of the Mayo/Alice inquiry. In Part 3, we will review what the current trend means for patent eligibility of biologic and biosimilar patents. Endo Pharms., Inc. v. Actavis Inc., 2015 U.S. Dist. LEXIS 127104 (D. Del. Sept. 23, 2015). Natural Alternatives Int’l, Inc. v. Allmax Nutrition, Inc., 2017 U.S. Dist. LEXIS 99581 (S.D. Cal. June 26, 2017); Natural Alternatives Int’l, Inc. v. Creative Compounds, LLC, 2017 U.S. Dist. LEXIS 143434 (S.D. Cal. Sept. 5, 2017). Limin Zheng is a partner at GCA Law Partners LLP. Her practice emphasizes patent and other complex technology litigation and spans a broad range of technologies, with a focus on biotechnology, biotherapeutics, and medical devices. She can be reached at lzheng@gcalaw.com.